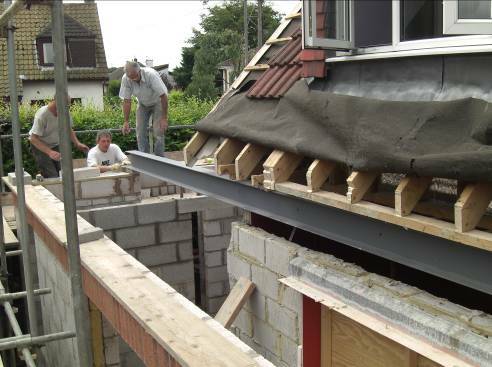 We started out as a small team of subcontractors in 1985 and due to our continued success we have grown considerably; MPBS now consists of over 10 specialist and experienced craftspeople. What sets us apart from other building contractors is our attention to detail and our determination to get projects completed on time. We also believe that what we quote for a job is what should be paid. This is why so many of our clients come back to us year after year. We operate under strict Health and Safety guidelines. And all our builders and decorators start work on time, are suitably dressed, and are polite and courteous to clients at all times. You won't find any of our team taking unauthorised breaks during the day; we're there to get the job done as quickly and efficiently as possible. MPBS is a member of a the NHBC (National House-Building Council) and only uses employs Gas-Safe approved and Part-P registered tradesmen. Contact MPBS now for a free quote. “The refurbishment project was of a large and unusual Victorian building; other companies had turned it down due to technical difficulties. I was extremely happy with the service MPBS provided. The overall standard of the work was excellent and they completed everything within the agreed timeframe."